Anne Minihane is a partner in the private capital team specialising in Wills, inheritance tax planning, lasting powers of attorney, estate administration, dealing with the administration of estates where the deceased died domiciled outside the UK and court of protection work. In her capacity as deputy and as attorney for clients, she deals with the administration of their property and affairs where they have lost the mental capacity to make those decisions themselves and supports them to make their own decisions where they do have capacity. Anne’s expertise includes working with clients who have lost their mental capacity due to accident, illness or brain injury. She is a panel deputy for the Court of Protection and has acted for clients as deputy and formerly receiver, for the past 14 years. Anne also provides training and information services on the Mental Capacity Act for charities and community groups involved in the care and support of those living with dementia and those with a mental illness. Anne joined Clarke Willmott in 2015 after working at QualitySolicitors Burroughs Day where she headed the private client team. Anne is a member of STEP and SFE as well as being a panel deputy. Anne’s experience includes dealing with the administration of an estate where settlement of a minority shareholders agreement had been agreed in mediation but not approved by the Court of Protection prior to the testators death and negotiating agreement with HM Revenue and Customs on the availability of BPR and on the value to be attributed to the holding for probate. Anne’s experience includes making a decision, as deputy for an incapacitated client, that it was in their best interests to make a claim under the Inheritance (Provision for Family and Dependants)Act 1975, where the provisions in the will had provided for the children equally. The order provided for significant provision for the incapacitated client over and above siblings. Anne’s experience includes being appointed by the Court of protection as panel deputy following the revocation by the court of a lasting power of attorney where the attorney had made significant gifts beyond their authority. Investigating the depletion of the incapacitated person’s estate and seeking reimbursement in order to put the client back into their original position. Anne’s experience includes acting in the preparation of Wills and life time trusts to mitigate the inheritance tax position in consequence of the anticipated increase in value of land where planning permission for development was a future possibility. 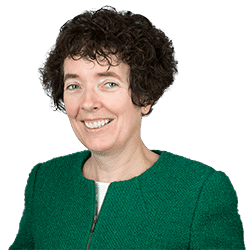 Anne’s experience includes acting as litigation friend for incapacitated potential beneficiaries, either under the will or intestacy , on statutory will applications, to ensure their best interests are represented.